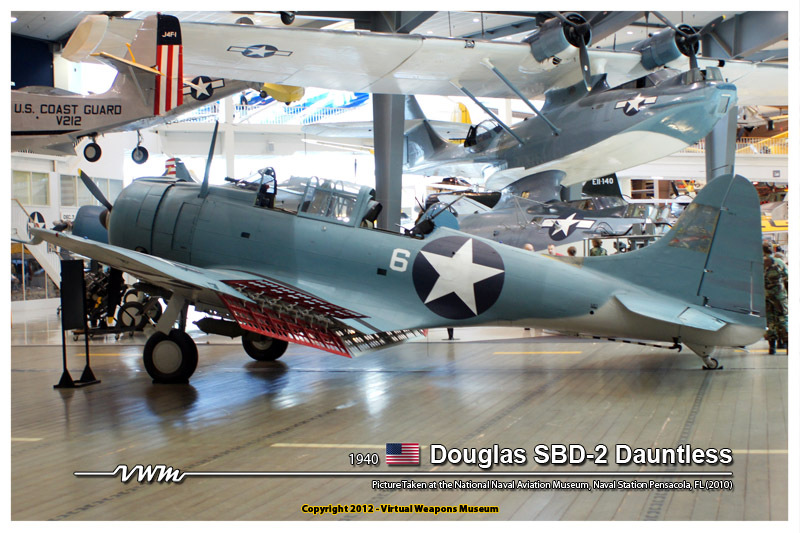 Underpowered, slow, limited in range, vulnerable to enemy fighters, and laborious to fly, the SBD Dauntless was to become a legend and an icon of the pacific war. Exceptional Control during a dive and its rugged construction helped the aircraft to become a winning design, a design which send more ships to the bottom of the Pacific Ocean than any other aircraft of its type. 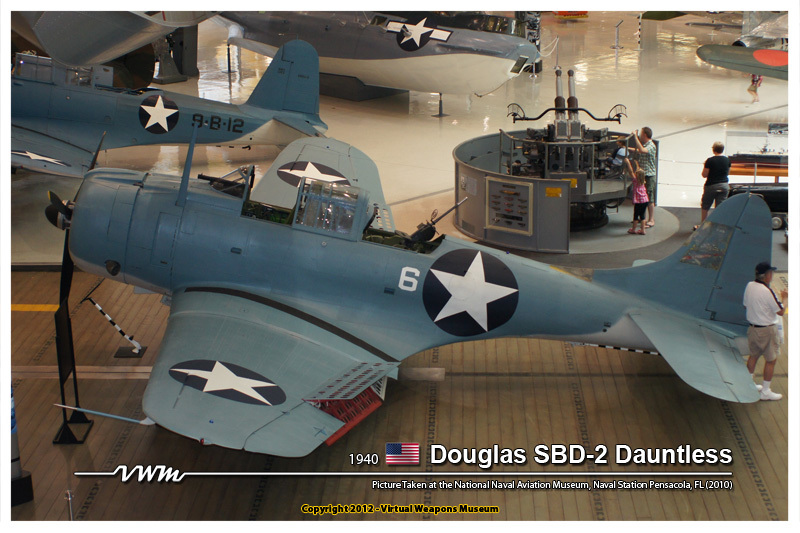 Overall the SBD-2 was essentially SBD-1 with a few corrections made during production run. These corrections helped to levitate some of the designs shortcomings. Even though the aircraft still had many more problems the solutions applied helped the aircraft in the main issue of range. Range was increased from less than 900 nautical miles (actually effective combat radius of only 200) to over 1,200 nautical miles. This increase in range also help usher in an auto pilot system for the long over water flights. 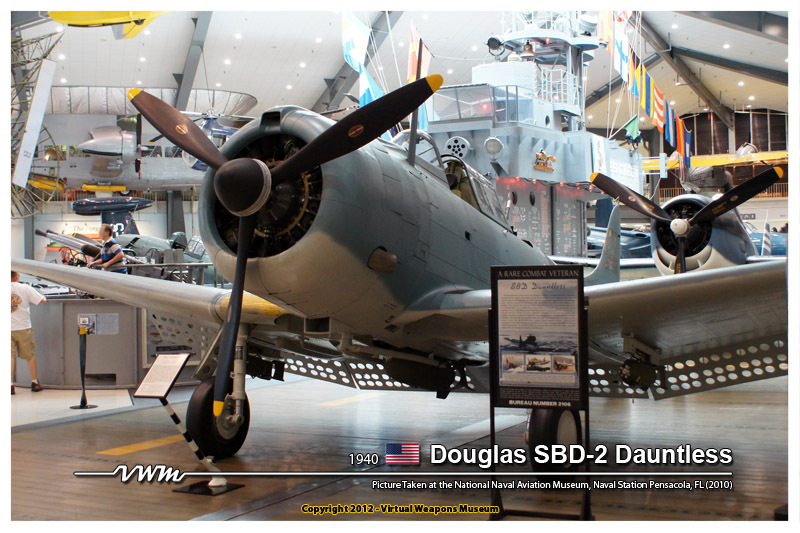 Despite the added weight of fuel and no armor protection for the crews or the fuel tanks, the United States Navy took delivery of 144 SBDs, 87 aircrafts being the SBD-2s. 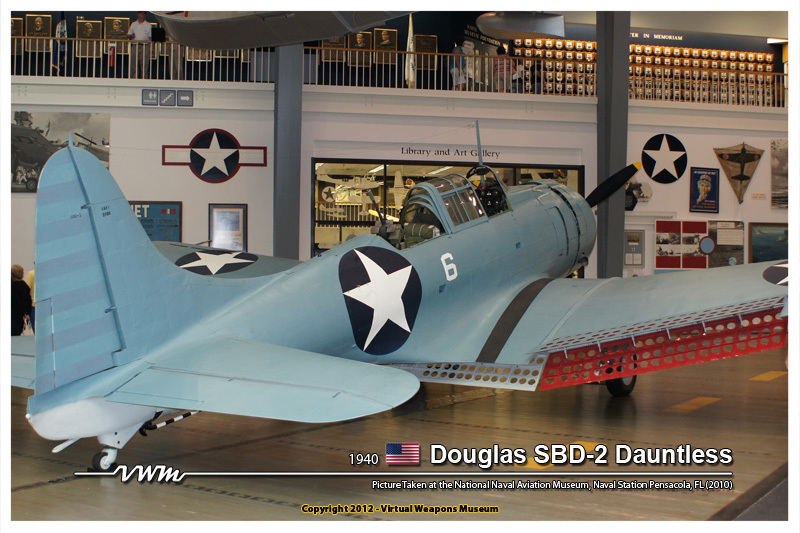 The SBD Dauntless had its share of weaknesses, but when called to battle it served with distinction and helped stop the Japanese Empire from conquering the whole pacific theater. 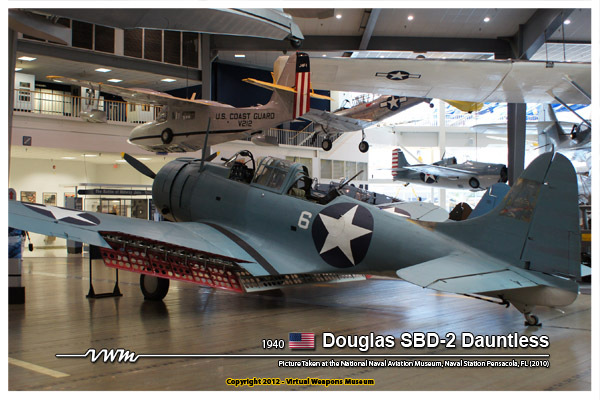 Old and slow but rugged and maneuverable during a dive, newer designs that appear during the war never measured up to the SBD Dauntless' prestige.